Zuern Building Products is a proud supporter of the Oak Creek High School Knight Construction program. 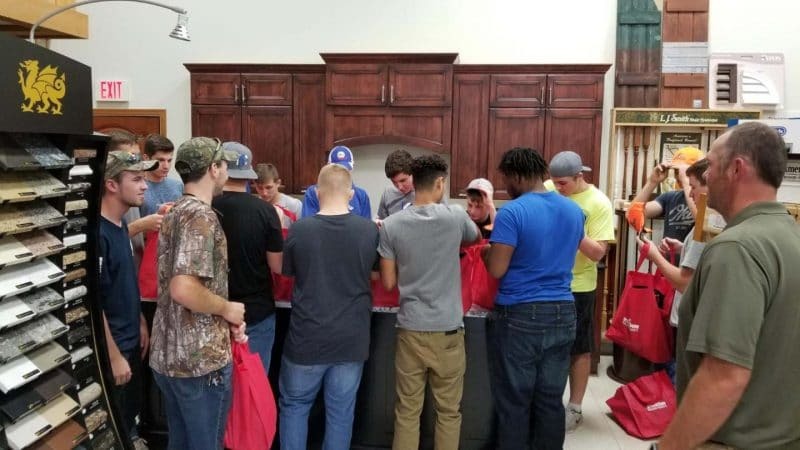 Students from Oak Creek High School partake in a comprehensive home building construction class and are exposed to a variety of construction trades. Oak Creek High School teacher Matt Lonergan leads the class which builds a spec house in the surrounding community each school year. The students get hands-on experience throughout the project and work hand-in-hand with carpenters and tradespeople to complete each phase of construction. 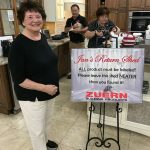 The 2018-2019 school year will produce a 3rd house for the program, and Zuern has provided each student with a starter bag at the beginning of the school year, which includes a tool belt, hammer, safety glasses, tape measure, and carpenter pencils. 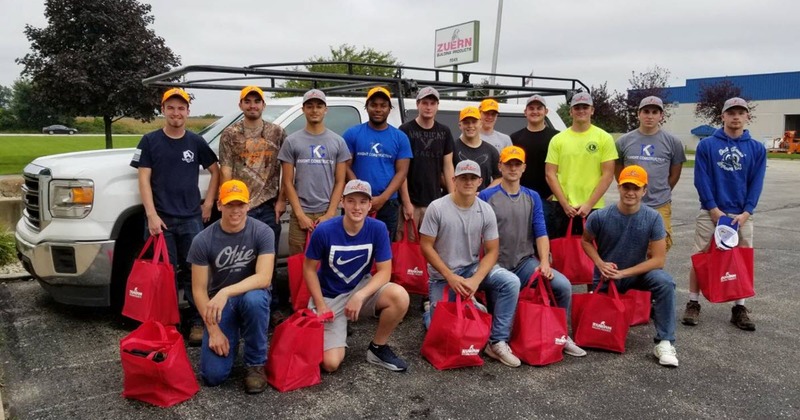 We are excited to support these incredible students as they continue to pursue a career in the building trades. Thank you for the opportunity to help out the Oak Creek High School Construction Class. We appreciate working with you and the community and hope the students get a better feel and appreciation for the construction industry. I hope the tools and construction aprons are a good start for these young adults to start their career choices. The students, composed of juniors and seniors at Oak Creek High School, broke ground in mid-September and will work through all phases of new home construction in throughout the school year. 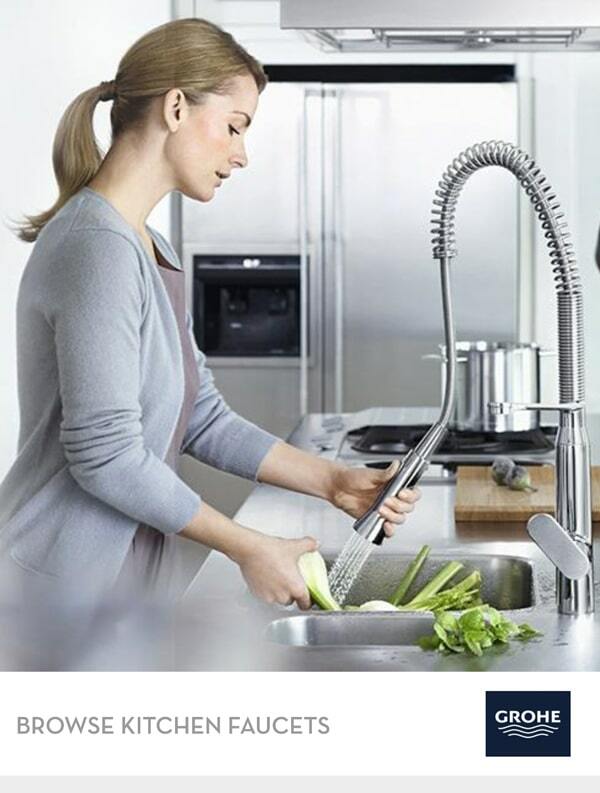 All work is done under the guidance of local contractors. The students work on the house for two hours each school day and will occasionally receive guest speakers to discuss potential trade apprenticeships. 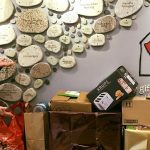 The class also receives donated or discounted materials from local companies (including Zuern) to assist with the home construction. The house is scheduled to be completed by May, when the school district plans to sell the home. Following a successful build in 2018-2019, Knight Construction will resume with another home-build for the 2019-20 school year. Construction updates can be found through Knight Construction’s Facebook page.